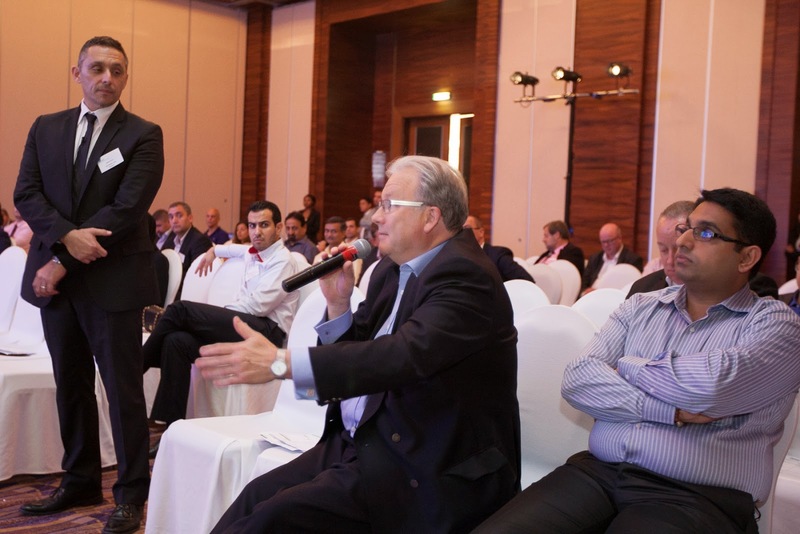 Last week Dunbar and Boardman attended the Facades Design and Engineering Summit in Dubai. It was a great opportunity to meet with many of the Vertical Transportation industry’s key individuals from across the Gulf Cooperation Council (GCC) countries. There were over 200 attendees representing 80 companies at the event. For over 30 years Dunbar and Boardman has attended similar events around the world. The conference started with a Façade Lighting Focus Day. Themes covered included, ‘Lighting up your projects to drive aesthetics and building functionality’ and ‘Next generation lighting technologies and opportunities for façade design’. Detailed approaches and methodologies were shared during the project case studies. The focus of the second day was the UAE Facade landscape. Particular emphasis was placed on innovations, building codes and beyond. Understanding the new building regulations and how to ensure your project conforms to compliance requirements. There were great discussions around the advancements in efficiency, sustainability, and cost effectiveness. It is often easier to absorb key details via project case studies these were a key feature of all three days at the conference. On the final day our attention was turned to the Western architectural influence on Arabic Design and the need for attention to detail in Facades. Once again some great insights were shared during the project case studies that included a spotlight on UAE universities. On behalf of all staff at Dunbar and Boardman I would like to say a big thank you to the organisers, IQPC & all the event sponsors, we look forward to seeing you all again next September. Dunbar and Boardman is the lift, escalator and access equipment consultancy. Do you have a current or planned project incorporating Façade access? We would be happy to discuss any such requirements and how we may be able to assist. Give us a call on T +44 (0) 20 7739 5093 or send us an email via peterboardman@dunbarboardman.com to start the conversation. We look forward to hearing from you.